I'm going to say it: shoes have the ability to make me happy. The styles, the colors, the way they can transform a look just by slipping them on... it's no wonder that the shoes were what Cinderella truly needed to turn into a princess. However, could those glass slippers really have been all that comfortable? When I was younger I would have sacrificed fit for fashion if it meant that I would have looked my best while out with Prince Charming, but now? Now I know that fashion and appearance matter, but you don't necessarily have to put your feet through pain to achieve them. 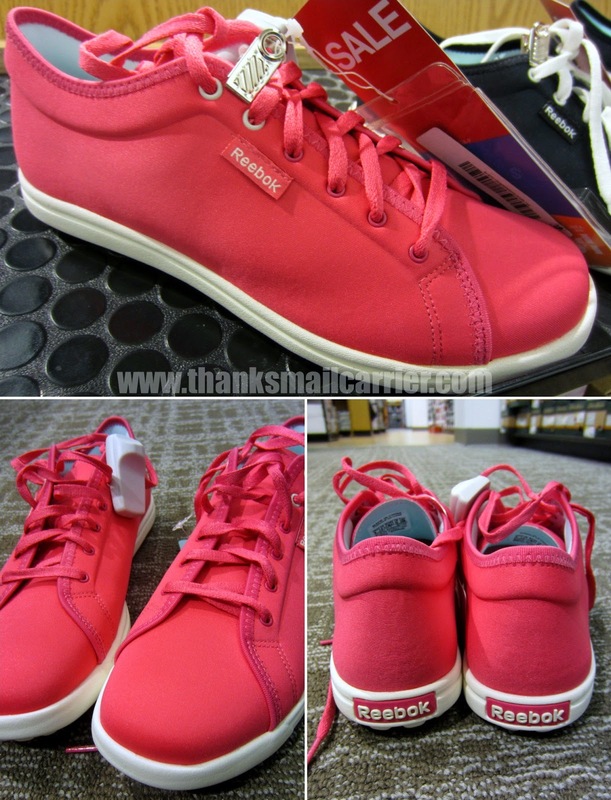 Most recently, that has been proven by none other than Reebok and their fashionable, lightweight, flirty, flexible Reebok Skyscape shoes. These stylish, high quality kicks look great but still leave your feet feeling pampered and prepared to take on your wicked stepmother... or, you know, everyday life. An everyday shoe designed for active and casual wear, the new Reebok Skyscape provides a solution to fit any woman's busy, on-the-go lifestyle. We all know that the footwear choice we make in the morning just might affect how our body feels the entire rest of the day (particularly when our schedule is filled with errands, school, work, kids, classes and more), so why ignore comfort for looks? Instead, the Skyscape are crafted and created in the same process used to make lingerie, resulting in a shoe that weighs only 5 ounces while still providing plenty of cushioning and support from its 360 degrees of foam comfort. 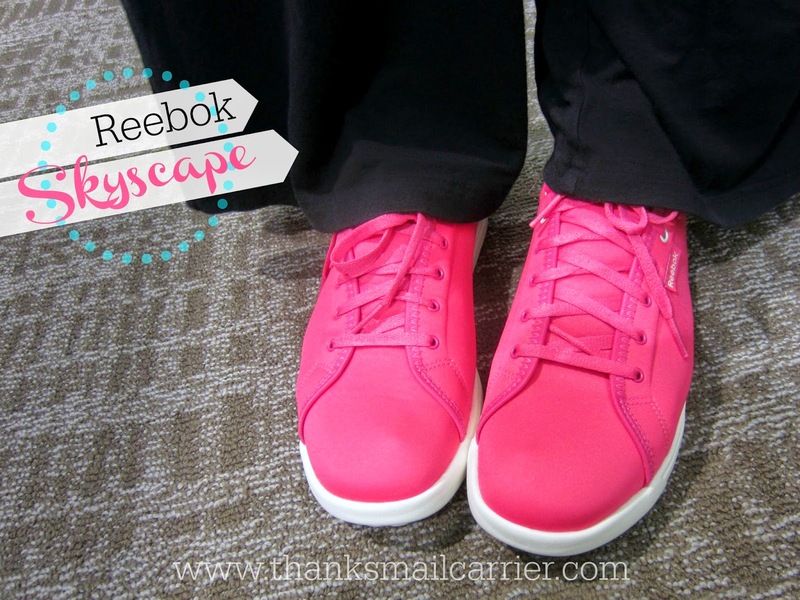 While everything that Reebok and Skyscape spokesperson Miranda Kerr had to say about these shoes sounded pretty amazing, I needed to see them for myself to truly get a sense for the cushioning, support and overall cute look. It was time to go to Kohl's! 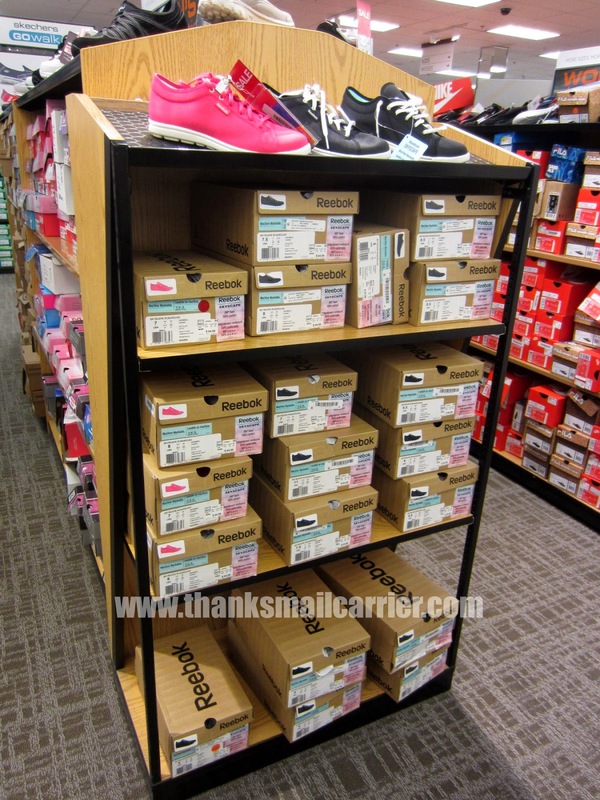 While Kohl's is already known for their large selection of footwear for the entire family, it didn't take long before I found the Reebok Skyscape displayed at the end of an aisle. While the Skyscape are available in four colors online to match any mood or outfit — pink, gray, black and blue — my Kohl's had them stocked in pink and black, which was perfect, as I had been eying up the pink. Is there a more bright, cheery, fun color for spring and summer? The more that I examined the outside of these shoes, the more that I appreciated the way that Reebok had designed them with such a simple, sleek silhouette. While a wild, strappy pair of sandals or an embellished pair of flats can be fun, those are the types of shoes that don't end up making it out of the closet all that often because I find that I need an "occasion" for them. Instead, the Skyscape pairs perfectly with jeans, shorts, skirts or yoga pants so that you can reach for them just about anytime! 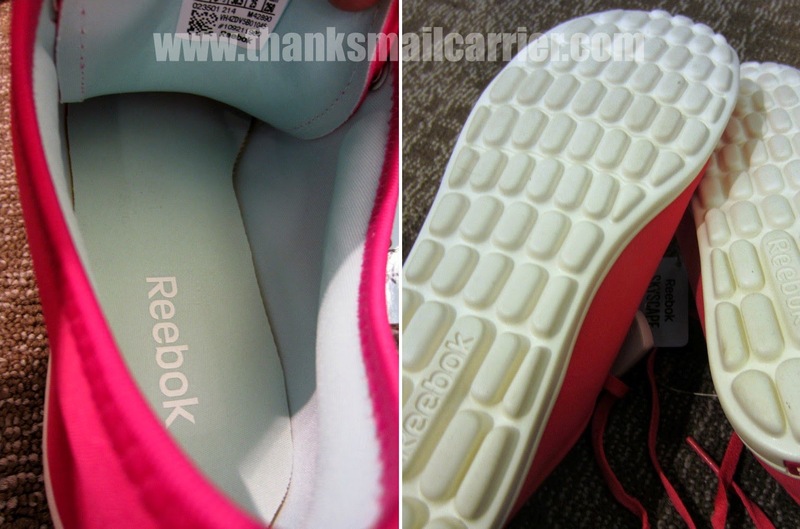 On the inside, Reebok crafted these shoes using the same manufacturing techniques and processes as molded foam bras, but using materials that have been optimized for the stresses and strains placed on the feet all day. No more aching tootsies at the end of the day when you're standing on these cloud-like pillows! At the same time, the way that the the Skyscape are seamless on the inside and made with a 2-way stretch material, results in an overall cushioned, comfortable flexibility on all parts of your foot. As a bonus, having no seams on the upper of this shoe means that they can easily be worn without socks, if you prefer. So what do my feet think after bringing these home and wearing them around day in and day out? These are so soft and comfortable that it's hard to return to any other shoes! They're so incredibly light and breathable that my feet haven't once been overheated, sore or unsupported and the ultra cushioned sole does indeed make it possible to wear them for the full day. Even better, as the Skyscape are machine washable and dry quickly, there is never any worry about getting them dirty or wet in the rain. They're just so comfortable, that you really do forget you have them on! Want to find out more about how the Reebok Skyscape can provide a way to be stylish and trendy while still letting you enjoy the comfort of a favorite pair of slippers? Head over to Reebok.com and connect with them on Facebook and Twitter... and then head to your nearest Kohl's to try these out for yourself (in the meantime, don't miss the overwhelming positive online reviews these shoes are getting)! These Reebok Skyscape shoes look very comfortable I would definitely like to have a pair of these. I agree these Skyscapes would go great with jeans or yoga pants, thank you for sharing this review. I WANT THESE SHOES!! Have to go find me a pair. Light weight and comfortable. My ideal. i love the comfort that these shoes look like they provide and the materials they are made from. i also love the colors. Oh, I want these! If they're only half as comfortable as they look, they'll feel fantastic. I've been wearing Reebok sneakers and shoes for decades (yes, I'm that old), and I'm a big fan. They're comfortable and durable, and they're also stylish. Thanks for the review of these Skyscapes. I've now seen reviews of these shoes on a least a dozen blogs. I went and designed my favorites at their site. (Reebok Skyscape review) I have worn Reebok shoes for years now. I find them to be very comfortable on your feet also. I like that they are making them in a lighter weight now too. These shoes sound very comfortable. Thank you for your review. 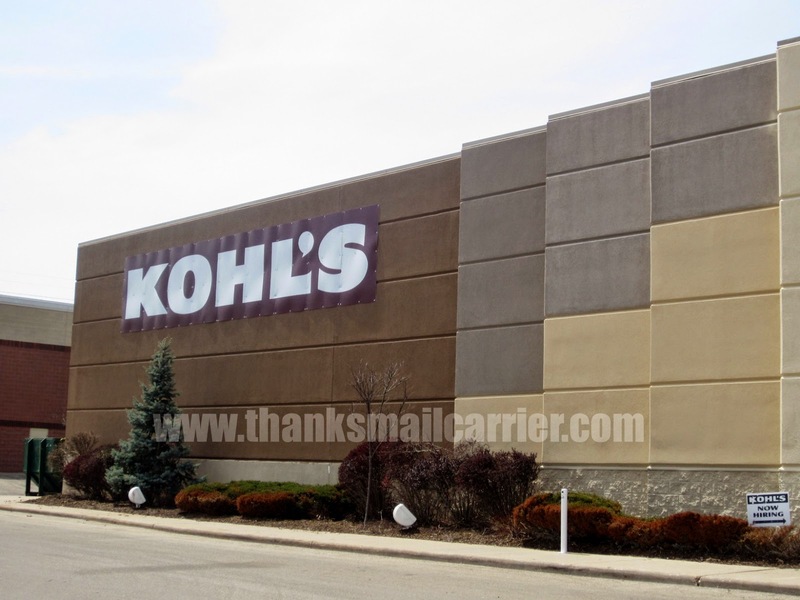 I love shopping at Kohl's and miss shopping in the store since I had to move to get medical care where there is no Kohl's. I still shop online but really love wandering the stores for their great deals. I WON THESE SHOES! Well, not the shoes but a certificate to Reebok so I can design the exact Skyscapes that I want! Purple. Purple. and more Purple. YIPEE! These are so cute love the pink shoes they looks so comfy as well. 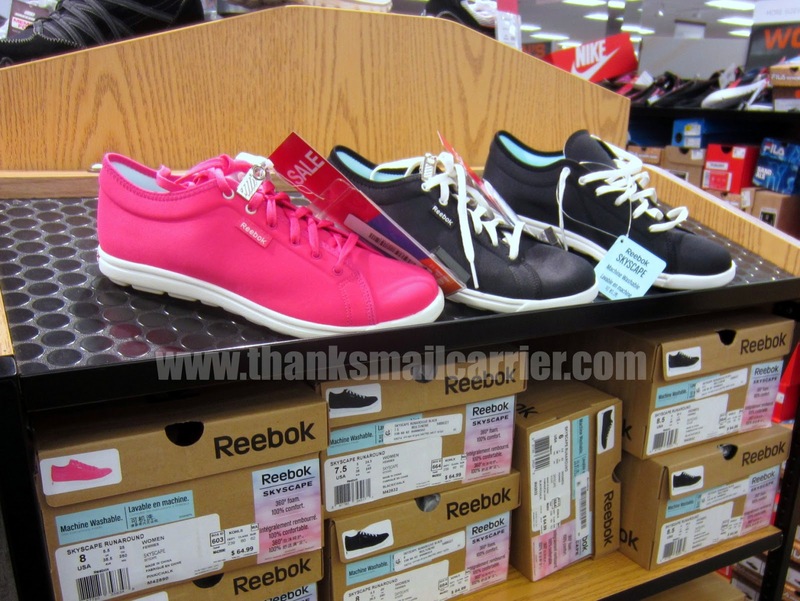 We shop Kohl's and they have cute shoes wish they carried more size 11 for women.